DJI Tripod Mode: How it works and what it is? A trademark of the DJI drones is their wide range of flight modes. From modes designed for beginners to ones that amp up your speed to maximum, DJI drones are made for pilots of all levels of expertise and different flight styles. One option, called Tripod Mode, is very popular among professional drone photographers. What is it about Tripod Mode that makes it optimal for drone photography? What are the best scenarios for using Tripod Mode? What is the Tripod Mode? 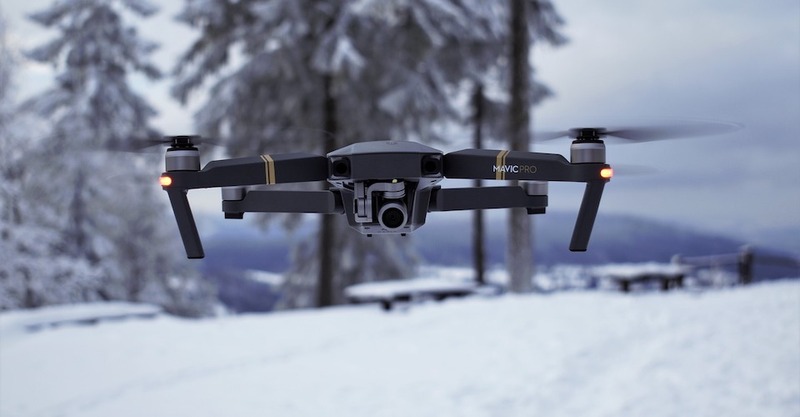 Tripod Mode hits that perfect balance of stability and mobility that allows professional drone photographers to get those clear shots from the best angles. 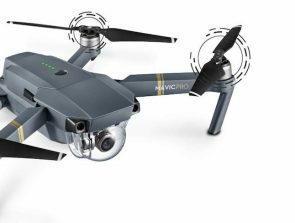 This extremely versatile mode is available in most of the modern DJI drones including the Spark, Mavic Air, Mavic Pro, and the Phantom 4 Pro. The drone’s maximum speed is greatly reduced in Tripod Mode. For the smaller drones such as the Spark and the Mavic Pro, the speed is capped to a very low 2.2 mph. 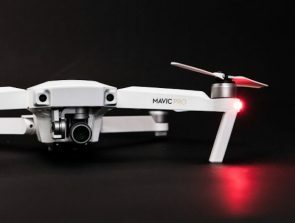 The maximum speed is a little higher at 5.6 mph for the bigger drones, such as the Phantom 4 Pro and Phantom 4 Advanced, but is still pretty slow, nonetheless. Although it does not sound like fun, the sluggish control makes it easier to fly in confined spaces and to set up shots. Tripod Mode offers several benefits, making it a tool of choice for professional drone photographers. The reduced speed in Tripod Mode allows you to make very fine adjustments to the drone’s position. This could come in handy when setting up shots and when you need to make that very slight adjustment to get the perfect angle. It’s also a great feature when you need to fly your drone around obstacles such as trees and indoor fixtures. In addition to the finer controls in Tripod Mode, positional stability is aided by the drone’s GPS module and barometer. When combined with the mechanical stabilization provided by the gimbal, the shots you capture in Tripod Mode maybe some of your clearest and most stable photos and videos. Obstacle avoidance is activated by default when in Tripod Mode, but you have the option to deactivate it. This gives you more freedom to fly your drone near obstacles so you will have no limitations on how you want to compose your shots. Obviously, some risks come with deactivating obstacle avoidance. However, the rewards are well worth it for the skilled drone pilot. Tripod Mode can be stopped anytime by clicking the STOP icon on the left. This will revert control to standard Positioning Mode (P-Mode). Flying under Tripod Mode is very similar to flying in Beginner Mode – just without the limitations. Although the controller gain is normal, the drone flies at a very low speed. 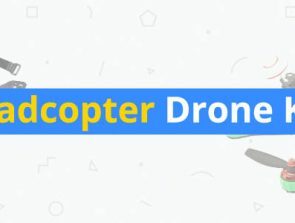 The braking distance is also reduced to only around 1 meter, so the drone should stop moving at almost the same point where you let go of the control stick. Just as in P-Mode, the drone will use GPS tracking to provide horizontal stabilization while the built-in barometer maintains its altitude. By default, obstacle avoidance is activated in Tripod Mode. In a brilliant move, DJI allows you to deactivate obstacle avoidance when flying in Tripod Mode. Although this feels counter-intuitive, deactivating obstacle avoidance allows you to fly close to objects. This gives Tripod Mode more flexibility for photographers who need to compose shots and have to take a photo from that particular spot. This is also very useful when flying indoors, as obstacle avoidance will probably go haywire detecting walls and ceilings all over. For highly skilled drone pilots, the lack of obstacle avoidance is not much of a handicap since the slower drone movements make it much easier to control them even in confined spaces. 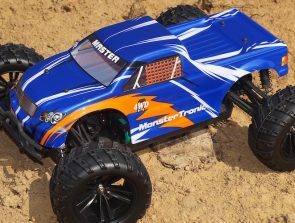 The combination of reduced speed and a deactivated obstacle avoidance becomes very useful for drone photographers who need to capture shots indoors. The finer level of control allows photographers to set up shots with more precision while also providing finer controls to navigate an obstacle-rich environment safely. Flying close to the ground is always a challenge for drone pilots, as drones tend to drift both horizontally and vertically under normal circumstances. The reduced speed of Tripod Mode also reduces drifting, allowing the drone to maintain a position. The combination of enhanced flight stability and 3-axis gimbal stabilization produces excellent close-up shots even at ground level. Professional drone photographers have to be ready to fly their drones even in less than ideal circumstances. You may be forced to move around support structures when shooting a video indoors, or to avoid trees and bushes when attempting to capture a 360-degree view of a real estate property. The more precise controls offered by Tripod Mode allow you to navigate around these obstacles safely. Professional photographers know that capturing a good time-lapse photo requires a very stable shooting position. At the ground, they would likely use a tripod stand to achieve this level of stability. Capturing a time-lapse photo sounds challenging when done using a drone. Surprisingly, Tripod Mode is stable enough to capture very good time-lapse photos. Just for this ability alone, Tripod Mode can be considered one of the most valuable and useful tools for a professional drone photographer. DJI continues to come up with features that anticipate and serve the needs of both commercial and professional drone pilots. The development of Tripod Mode follows in the same vein, helping commercial drone photographers compose shots with unequaled stability and high-precision controls. Aside from being able to navigate around obstacles such as trees, bushes, and various indoor fixtures, positional stability during Tripod Mode is so stable that you can even capture time-lapse photos. There’s no doubt that Tripod Mode is a valuable tool for professional drone photographers. However, the handicap provided in Tripod Mode is not meant to replace genuine drone flight skills. It’s no Beginner Mode, especially if you choose to deactivate obstacle avoidance. Despite its more precise controls, we recommend Tripod Mode only for skilled and experienced drone pilots.